Both meals look tasty! I look forward to seeing what is up for tomorrow!! Great job! Both lunches look delish! What is RE? The structure of your school day led me to visit your school's website. I am most impressed by the variety of subjects the students are able to learn, and I so wish there had been a Steiner Academy in my school years! 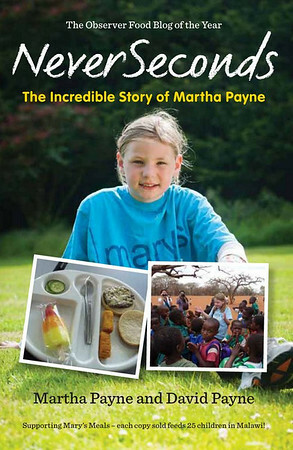 I look forward to reading more about your school and seeing the school meals from the rest of the week. I, too, love curries! I am so excited to have a week of vegetarian food. YAY! Can I ask a favor? To those filling in for VEG during her holiday, please try to put a title on your post. One or two words is fine, as VEG does most of the time (Goodbye, Broken, etc.). Without a title, those of us who use a newsreader to see when a new post is up, can't directly select the page. We don't get a link, just as many as will fit of the first of that day's story, which aren't clickable. Thanks and keep up the wonderful work. Wow, your lunch looks fabulous! What a wonderful blog you have, Martha. Wow, that seems like such a cool school! If I had a kid and we lived in Herefordshire I would definitely send him there. 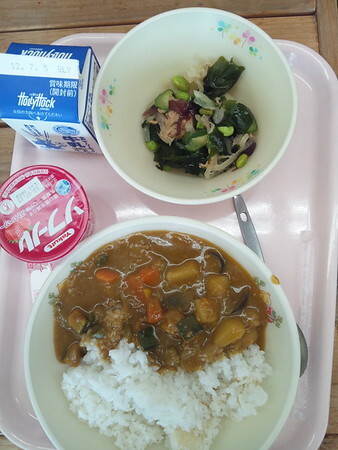 In Japan students from elementary to junior high school eat lunch together. After lunch the students return all the lunch things to the kitchen. Before lunch is served a group of students does set-up and no one eats until every student has a lunch. 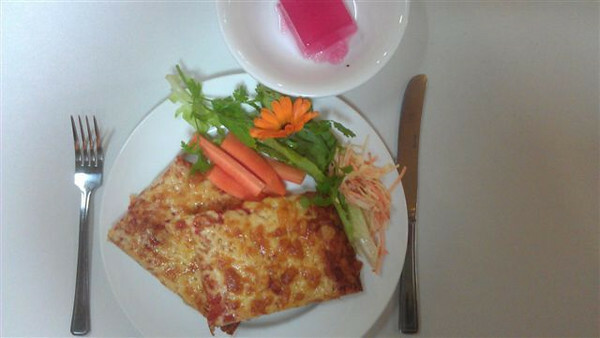 Compared to VEG and BLOD, today's blog sounds like it has been written by an adult and more of an advert for the Steiner philosophy than about the school meal. I feel strangely disappointed. Let the kids give their refreshingly honest opinion of the food. It's sad that only one person has commented on our new guest bloggers first post. She does seem a little older though and not quite as fun but it's only for a week. I would love to learn more about your type of school, I've not heard it before. Your school sounds amazing. I would like to know how it would even be possible to knit yoghurt though? Some people are very narrow minded but I think it's great that there are schools like that and I wish I could have gone to one. What a shame that an obviously adult written shill review for the Steiner school has slipped through the usually very good standards of this blog. Health rating 10/10 for pizza... sure. I agree with Orrchid; I want to hear from the kids. Having said that, the food looked great! I would happily have eaten both the English and the Japanese food. Looking forward to the rest of the vegetarian week and the world food coming up. I found today's post really interesting. Keep at it, NAYK, your writing is fascinating and your food looks delicious! I don't believe that an adult wrote your post at all. Welcome Not a Hippy and Not a Yoghurt Knitter, great first blog and thank you for explaining the type of school you go to. I hope Not a Hippy returns from dragon hunting safely and that the trip was out of this world. Your pizza is healthy: it is high in Vitamin A, Vitamin C, Calcium & Potassium from the tomatoes. Cheese contains some vitamin A, B12, riboflavin, zinc, and phosphorus - always eat cheese in moderation though. The wholemeal base is rich in phytochemicals and antioxidants. I don't think an adult wrote it - I think it's an older student (high school) which is a shame. Your food looks tasty. But i think it's a little bit strange to have every week the same menu. Even if the food is tasty, did you not like this at some point enough? I look forward to tomorrow's food! Great beginning NAYK, very much looking forward to the rest of the week. Great to have veggie food featured! Does your school also have a garden? Steiner school sounds kind of like Montessori here in the USA. I laughed when I read it though -- I have read all of Alexander McCall Smith's books about Scotland and in one series a mother is obsessed with the "Steiner method." I didn't know it was a real thing! I have to rather agree that this post sounds more like an adult wrote it. Particularly when the person writing it keeps referring to "the children." One would assume that, if it was one of the students writing it, it would have been written as "WE wear our own bright clothes and chunky boots not a uniform" and "In the morning WE start off by saying a verse, WE play recorder and then do movement. After that WE start the main lesson." And I think one of the things that particularly bothered me was "We are just over the boarder from Blod in Herefordshire." Perhaps the school needs to spend a bit more time on spelling, and less on "movement"? Indeed! Pet peeve of mine when people get homonyms mixed up!